Whether you are a tenant, who is moving into a new home or a landlord, whose property is left in a bit of state, our professional cleaners are here to help you. We a young and enthusiastic cleaning company in Vauxhall. For several years we have managed to assist hundreds of people and make a good name for reliability and quality. Today, we have the necessary manpower and professional equipment to restore the initial cleanliness of every leased flat or house. Our qualified cleaners are ready for action 7 days per week. The best part of working with us is that our prices won’t strain your budget. 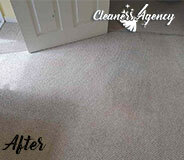 Our mission is to deliver flexible cleaning solutions and peace of mind accordingly. As not many tenants carry out a deep cleaning on regular basis, our end of tenancy cleaning package includes every nook and cranny of the leased unit. Further, we supply our teams with reliable and effective cleaning materials, which have the power to eliminate persistent traces of dirt without being harmful to our clients. Our cleaners will start with the kitchen, as it is the most frequently used room in every property. They will clean precisely all cupboards, cabinets, appliances and greasy areas. After that, all other rooms and the bathroom will be cleaned deeply. Further, our service includes floor sanitation, washing windows, dusting, etc. We consider our package comprehensive enough to ensure the desired standard of cleanliness but if you have any additional requests, don’t hesitate to share them with us. Our end of tenancy cleaning has no time limitation and the cleaning crew will leave only when the highest standard of cleanliness is achieved. This gives peace of mind to every tenant or landlord in Vauxhall. In case you are a tenant, who plans on moving out, we would like to inform you that our service has a 48-hour guarantee. 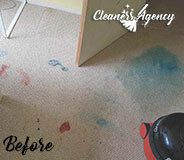 This means that if your landlord is not satisfied with our work, we will visit you again for a re-clean. 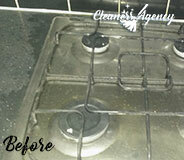 Give us a call and learn more about your trusted end of tenancy cleaning in Vauxhall. We possess the necessary manpower and professional equipment to provide you with a reliable cleaning solution. These housekeepers are fantastic. Always so fast to respond and it is so easy to communicate with them. They did a wonderful job cleaning our rented unit. Thanks to them we were able to keep the security deposit in full. I cannot wait. 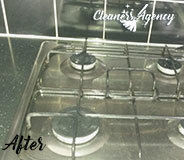 Perfect end of tenancy cleaning service. Established as a cleaning provider several years ago, Cleaners Agency London is today specialised in numerous cleaning services. When there is no place for housework in your agenda, feel free to delegate the cleaning duties to our qualified cleaners. You can trust them the way you trust yourself. As a cleaning company committed to customer satisfaction, we invest a lot in recruitment and indoor training programs. Only in this way we are able to attract the right specialists to our team and provide them with the necessary professional qualification. When our cleaning crew is in your property, you have the peace of mind that it will receive the required attention. Our operatives are flexible, responsive and supplied with up to date cleaning equipment. We are certain that you will be really pleased with their performance and consider working with us again. Book with us and save time, efforts as well as money. If you your tenancy is coming to an end that means you will need to perform a thorough cleaning on the whole property in order to get back the full amount of your deposit. If you don’t want to do all of that all by yourself we are perfectly capable to give you a hand and deprive you of the uneasy cleaning chores that you need to perform to reach the desirable effect. We have been providing the residents of Vauxhall with end of tenancy cleanings for many years now, and we just keep on getting better. We have perfected almost every aspect of our service to meet your cleaning requirements and achieve end results that both you and your landlord will find satisfying. Our complete set of professional cleaning tools and equipment in the hand of our diligent cleaning technicians will make your property sparkling clean without your assistance or help. They are trained and legally-licensed to perform all types of cleaning and effective remove stubborn stains and spots, as well as dirt and dust that is particularly hard to reach and remove. Our friendly operators are waiting on your call and you’d better hurry up and schedule with us to be one of the first in the line of many.